Hi, this is Stu Harrison, we’re here at Merriam Pianos in Oakville, Ontario just outside of Toronto and we’re going to be looking at the GL-40 Grand Piano from Kawai. 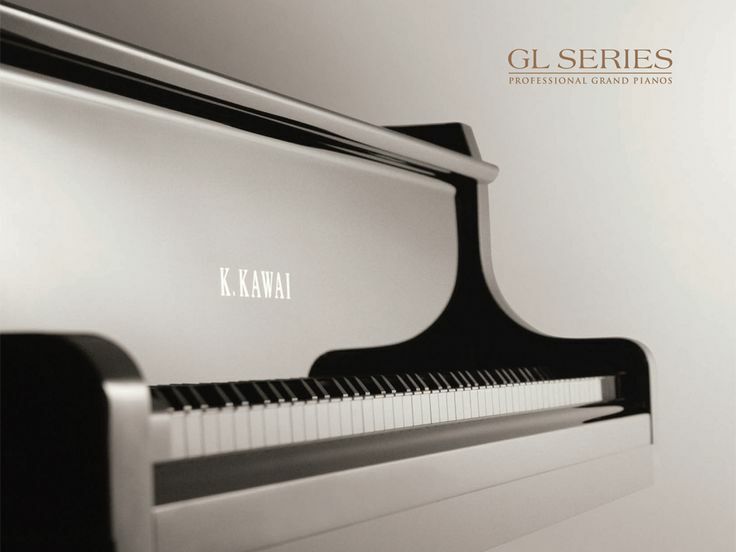 The GL-40 is Kawai’s recent upgrade or update to their rather famous RX-2 that was a dominant player in the institutional grand piano market from probably the late 90’s right up until 2013, 2014. The GL-40 is approximately the same size as the RX 2, it’s one inch longer, the 5 foot 11 versus the 5 foot 10 on the RX 2. And a lot of the same features have been retained. But there are some differences, and so I want to point out what those differences are since so many people are familiar with the RX-2, I think that’ll be more helpful than me just talking about this in isolation. And of course at the end, we’re going to give it a nice test run and let you hear how it sounds at home. One of the biggest upgrades to the GL-40 versus the RX-2 has really been its action. The RX-2 and the GL-40, of course, use the Millennium III Action, which is their carbon fiber action, tons of information online about this. But the difference between the two is on the GL-40, just like rest of the GL line, the key length has actually been extended. So when you look at the total lever length of a GL-40 key, compared to an RX-2 key, it’s more than an inch longer. Why is this important? Well for anybody who plays a repertoire of any sort of difficulty, a longer key gives you more accuracy when you’re playing both quickly as well as in the lower dynamic ranges. So as I said, both the RX-2 and the GL-40 use the Millennium III Carbon Fiber Action. So what’s the difference? Well on the GL-40, they’ve actually extended the key lever by almost one inch. So that is the entire length of the key, both this white portion as well as the unfinished wood portion behind the key bed going all the way back to the cap stand. And so what does that extra inch give you in terms of playability on the GL-40 that’s missing on the RX-2? Well, any time you extend a key, you’re increasing or improving a lot of dynamics. One is that the power that you can apply to the key is improved, just because of basic geometry. Just like any other lever, as you extend the lever, you’re able to apply more force with the same amount of motion or the same amount of pressure, so you have increased the dynamic potential of the instrument right away. The other thing it does is it also improves the speed of the repetition as well as the control you have in the lower dynamic range. So generally speaking, there are almost no downsides whatsoever to extending a key. The main reason why it’s not done in smaller pianos like the GL-40 or the RX-2, or Yamaha like a C-2 or C-3 or something like that, is there just isn’t room. So the main reason why this GL-40 is an inch longer than the RX-2 is it’s accommodating that inch of key length, that’s the only reason the piano’s actually longer. Other than that, the scale design on the GL-40 is exactly the same as the RX-2. The last thing that I want to draw your attention to with the GL-40, particularly in comparison to the RX-2, is the soundboard on the rim. The RX-2 broke a lot of ground by being one of the first, or perhaps the first, production grand piano to offer a full hardwood rib. And this was something that many companies were doing but more on the limited production versions of the pianos, like with Yamaha, the S Series or, of course, a lot of the higher end European pianos such as the C. Bechstein, you know or Steinway all used solid hardwood ribs. But to have that in a $20,000 grand piano with the RX-2 was very unusual. Well if it ain’t broke, don’t fix it. The GL-40 continues that tradition of offering full hardwood rim to customers in the low to mid $20,000 range. Now the other thing that the GL-40 has updated, though, is that they have gone to a fully tapered soundboard. Now I mentioned that in another review dealing with the GL-10. What’s a tapered soundboard and why should you care? Tapering the soundboard increases the amount of soundboard surface which actually can generate the tone. Normally as you get closer to the edges of the soundboard, if the soundboard is the same thickness, it increases in rigidity as it gets closer to that point where it’s clamped down. And of course, that means that as you get closer, that wood becomes generally resistant to vibrations, it’s not really that usable. So by tapering it, you offset that effect and you increase the area where the soundboard is able to vibrate. The other thing tapering does is that it prevents the distortion effect that occurs when the soundboard’s crown flattens it up. And so there are some sonic advantages to certainly having a tapered soundboard, and of course, as we said, we’ve kept the hardwood rim. We’re going to listen to the GL-40 now, we’ve spent enough time talking about it. And how we’re going to be recording it, as we do every piano that we feature here on our reviews is with a Zoom H4n recorder right in the middle of the instrument, used as a hair and stereo condenser microphone and that’s the only way we’re mic-ing the piano. The sound is totally unaffected, it’s just a straight export. We want you to be hearing as close to what we’re hearing here in the store back home in the comfort of your computer, or phone, or however you’re listening to this. So I’m going to get playing, enjoy. You really have a pretty full command on the dynamic range on an instrument like this. Tons of power in the bass, lots of articulation when you need it. And a great clarity throughout the entire range, I mean the evenness of the piano always has been, and I’m sure will continue to be the hallmark of the playing experience. So once again the GL 40, I’m Stu Harrison, thank you so much for your time and we’re here at Merriam Pianos. After many years experience selling Yamaha and Kawai, we have to add Essex to the list. 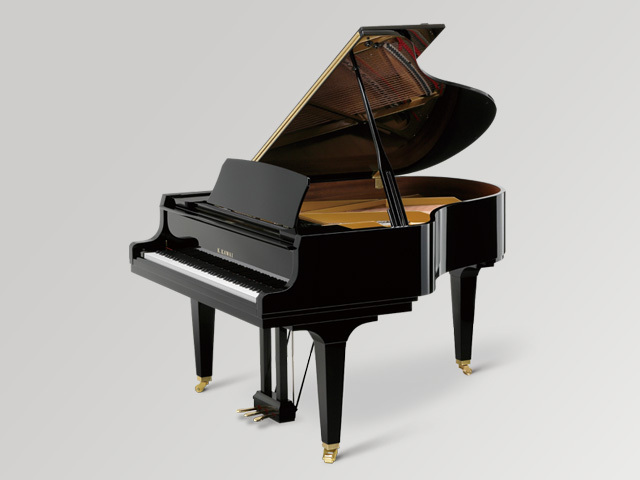 For many years, this page shared what we had learned from our long experience with Yamaha and Kawai pianos. For the most part, we found the quality of the two brands comparable and choosing between the two was more a matter of preference of touch and tone than of quality or value. 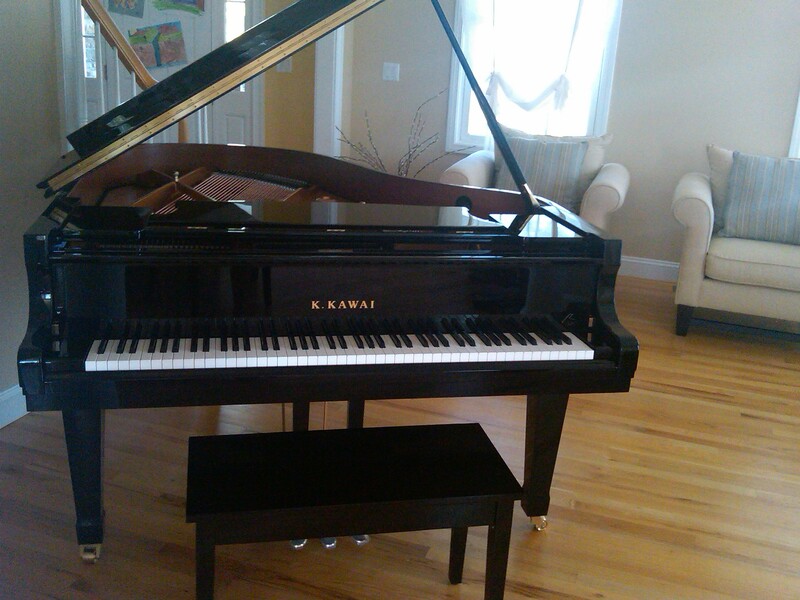 This entry was posted in Grand Pianos, Merriam Pianos, Pianos, Kawai, Merriam Pianos Blog, Piano Reviews and tagged grand pianos, Kawai Piano, Kawai Piano Models, Kawai Piano Review.